Washington, D.C.--Year-over-year, quarter-over-quarter, the numbers for commercial and multifamily mortgage loan originations were on the rise, according to figures just released in the Mortgage Bankers Association's Quarterly Survey of Commercial/Multifamily Mortgage Bankers Originations report. Washington, D.C.–Year-over-year, quarter-over-quarter, the numbers for commercial and multifamily mortgage loan originations were on the rise, according to figures just released in the Mortgage Bankers Association’s Quarterly Survey of Commercial/Multifamily Mortgage Bankers Originations report. 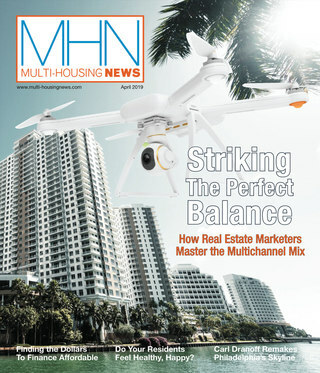 And the multifamily sector certainly had a hand in facilitating what turned out to be a 32 percent increase in originations from the third quarter of 2009 to the third quarter of 2010–a startling leap from the 1 percent increase in originations from the second quarter of 2009 to the second quarter of 2010. The multifamily sector helped propel the year-over-year originations with a 37 percent boost in loans, marking the second highest sector increase; industrial led the charge with a 129 percent catapult in loans. 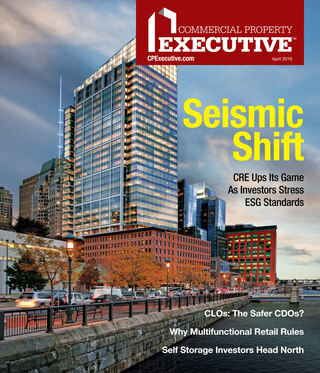 Quarter-over-quarter, overall originations rose 15 percent, buoyed by the respective 50 percent and 84 percent jump in the multifamily and healthcare sectors. As for participation among investment types, from the second quarter to the third, loans for conduits for CMBS increased the most, going up 43 percent from the second quarter, followed closely by government-sponsored enterprises Fannie Mae and Freddie Mac, whose originations climbed 42 percent. The average size of GSE loans also continued its upward swing, going from $9.8 million to $11.3 million to $12.6 million over the last three quarters. Life insurance company loans rose 20 percent in volume, while loans for commercial bank portfolios declined 27 percent. The year-over-year change among investor types, however, was far more extreme. Loans for conduits for CMBS held the lead with an increase of 940 percent, followed by life insurance companies, which experienced a 154 percent jump. Loans for commercial bank portfolios dropped 49 percent from the third quarter of 2009. But Fannie Mae and Freddie Mac’s year-over-year performance contradicts its aforementioned 42 percent quarter-over-quarter increase with a 16 percent decline in originations.